All these years, Jugnoo fought hard to protect its turf against the big boys. Both Uber and Ola had both shown interest in the auto hailing industry that it operated in, and as a smaller player, it had to contend against the deep pockets and established infrastructure that they brought to the table. It fought gamely though; Uber and Ola never really made a dent with the auto hailing market, and eventually bowed out of several cities. But now it’s taking on Uber and Ola in their own backyard. 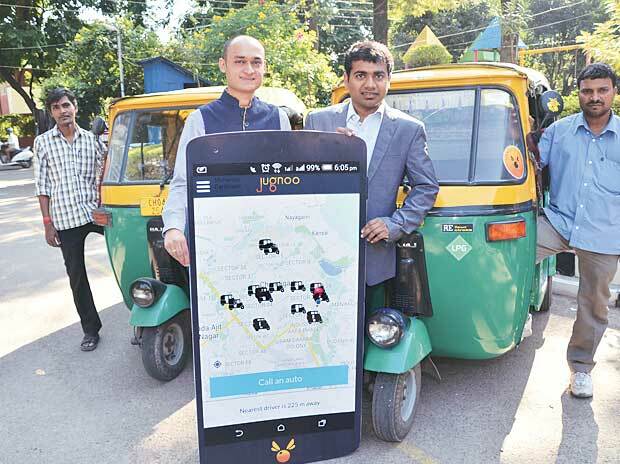 Jugnoo, which currently has 40,000 autos across 12 cities on its platform, has launched its cab services in Gurgaon. And its timing couldn’t be better – Uber and Ola drivers are currently striking in the National Capital region. Jugnoo, for its part, is striking when the iron is hot. Fewer Ubers and Olas on roads gives it an opening for customers to try out its new service. The company says that it had been planning to launch the service for the last couple of months, and saw the ongoing strike as an opportunity to announce the launch. For starters, Jugnoo will have 100 cabs on its platform in Gurgaon. Most of these cabs will All India Tourist permit, and will be able to ply from Gurgaon to NCR. It won’t be possible though, to pick up a cab from Delhi. And Jugnoo doesn’t seem to want to be an Uber-Ola clone. “The pricing that Ola and Uber are working on is unsustainable and hence our pricing will be different from them. However I cannot reveal the specifics of pricing at this moment,” said Jugnoo CTO Chinmay Agarwal. Pricing is one of the key grouses of the striking Uber and Ola drivers, who’re unhappy with the Rs 6/km minimum charge that’s enforced on them by the companies. “We analysed the issues faced by taxi drivers off late and have come up with a strategy to provide taxi services at prices where drivers do not work at artificially lower rates than their costs,” added Agarwal. This could possibly mean that Jugnoo prices could be higher – and more sustainable – than those of Uber or Ola’s. Higher fares is a strategy that sounds counterintuitive, but it could pay off in the long run. Jugnoo will anyway find it hard to discount its rides as much as the big players, and higher fares from the outset could help it avoid the ugly confrontations that Uber and Ola are witnessing with its drivers. Customers, too, could benefit from having a third players in the fray. Uber and Ola have acted in unison in the past while raising fares in the NCR region; a third company, if it gains traction, could reignite the price wars that were the hallmark of the industry over the last couple of years.